ApplicantTrackingSystems.net, a site that helps recruiting and HR professionals find the right applicant tracking software, is thrilled to present this year’s winner with a $1,000 scholarship. I am ecstatic in receiving this honor from Applicant Tracking Systems! I look forward to taking advantage of this opportunity and furthering my education in HR at DePaul. ApplicantTrackingSystems.net, a website dedicated to helping HR professionals find the applicant tracking software that best suits their needs, has chosen a winner for its 2019 HR Scholarship and would like to congratulate Joaquin Silva. 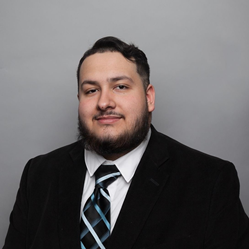 Joaquin is a student at DePaul University’s Driehaus School of Business and was selected for his academic excellence and dedication to pursuing a career in human resources. After being informed of his win, Joaquin expressed his excitement at receiving the scholarship. Joaquin was selected out of all of the applicants to receive the 2019 HR Scholarship by a Selection Committee. He was chosen for his academic merit and commitment to working in the human resources field. Applicant Tracking Systems is honored to help Joaquin continue his education in HR and achieve his academic goals. ApplicantTrackingSystems.net is a Florida-based company dedicated to improving HR through software that helps companies track applicants and other features. Applicant Tracking Systems helps match companies with the software that will best suit their needs. Applicant Tracking Systems is run by Lucerna, LLC, along with two sister sites: HRISPayrollSoftware.com and HRPayrollSystems.net. Together, these three sites help companies find the software that will help meet all of their HR needs, from applicant tracking to payroll and other features.